Henkel’s complete Loctite Impregnation Solutions (LIS) product portfolio not only offers impregnation resins and systems but also a customized service through both external, as well as tailored, on-site impregnation service centers. Through LIS, Henkel, a leading supplier of porosity sealing products and services, offers the automotive industry a one-of-a-kind, fully automated impregnation system, and its high-tech resins deliver consistent quality and unmatched sealing performance. Once Henkel professionally seals components, customers can expect very high sealing rates – clean and dry parts ready for assembly. The highly efficient design of the LIS centers enables customers to achieve greater levels of sustainability by minimizing resin usage, energy costs and shortening the processing time. When casting aluminum automotive components, those castings may suffer from porosity defects that can lead to problems in parts such as engine blocks, cylinder heads, and compressors. Porosities are small holes or cracks that can be permeated by fluids or gases. They appear in castings as they change from a liquid to a solid state. If not properly treated, they can lead to corrosion, pressure loss, fluid loss or costly failures in the field. Similarly, troubling microscopic leak paths may occur in electronic assemblies when joining dissimilar materials. Aggressive substances can penetrate into the components, potentially causing short circuits, corrosion, and loss of power or other issues. Such castings and electrical components need to be sealed to ensure they do not leak and that they provide appropriate resistance to chemicals, aggressive fluids and high operating temperatures in the field. Henkel has been offering its globally recognized impregnation service for over a decade, developing unparalleled expertise in the process. It has created a presence close to customers in key countries and continues to aggressively expand its global position. Markus Alterauge, Global Business Director - LIS, noted that automakers continue to reduce weight, cut costs, and improve fuel efficiency, safety and comfort – all of which point to the need for a high-quality sealing solution such as the one that Henkel offers. 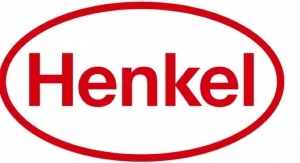 Today in Europe, he noted, Henkel is recognized as a market leader with 17 on- or off-site impregnation service centers. Henkel has an ambitious growth plan, organically and by acquisition, to accelerate business development and expand its position a world leader for impregnation. Henkel further distinguishes itself by offering a customized impregnation service, in which it brings its LIS capabilities directly to customers’ facilities. 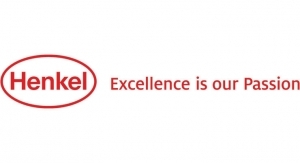 This highly flexible, independent Henkel service directly on the factory floor of the customer offers a valuable service – which is certified to TS 16949 standards – and reduces transportation costs and relieves the customer of having to invest in equipment and personnel to manage that process.